BBC Oxford: “Films On Friday”, 10th May Releases. Please use the player above to listen to “Films On Friday” broadcast on 10th May. 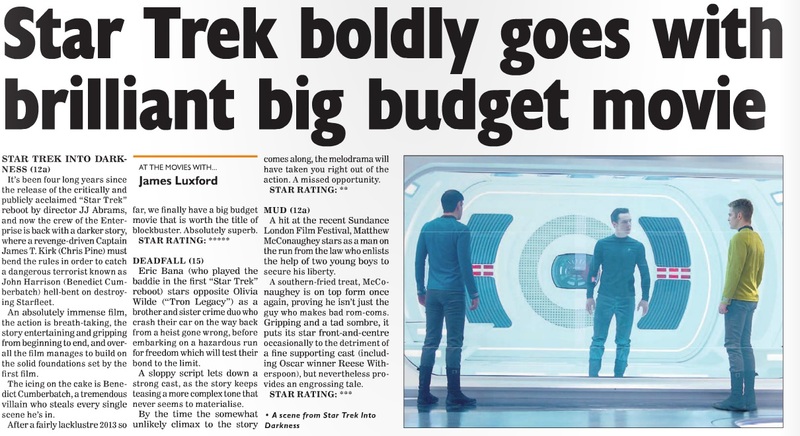 Talking to host David Prever, I review the films “Star Trek Into Darkness” and “Mud”. Posted in BBC Radio Oxford, Movie Review | Comments Off on BBC Oxford: “Films On Friday”, 10th May Releases.